Oftentimes the holidays are chance for loved ones and family to come together. 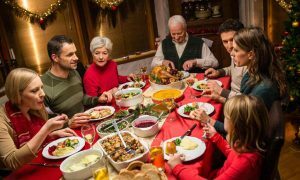 Although a time of love and excitement, the holidays can also be a triggering time, especially when old family dynamics are set in motion. In therapy we look at many of these family patterns and try to support people in being prepared when they go home. Here is a good Article about breaking out of family roles this holiday season.